How Do I Volunteer my time, or Foster a Pet? All of our rescues go to foster care once we pull them from the shelter. Our need for foster homes is so that we can save more animals in addition to the ones that we have saved. 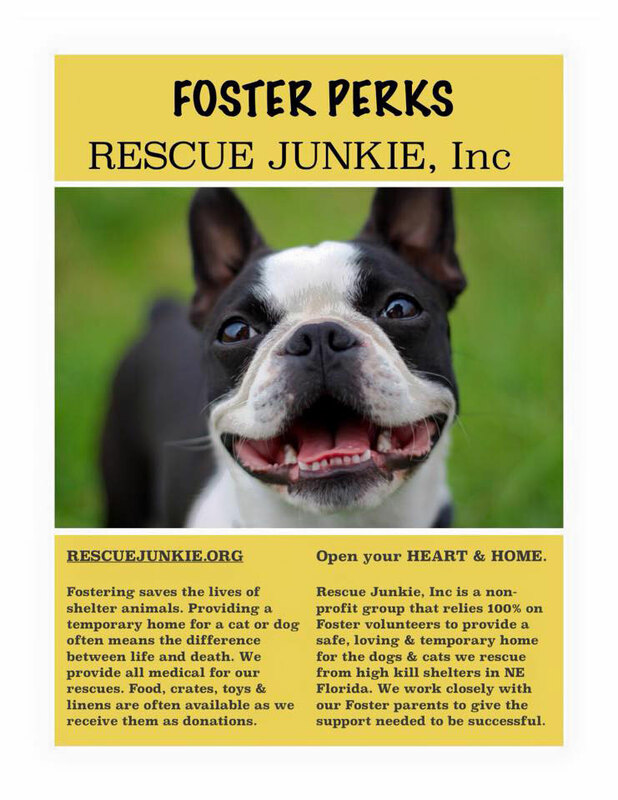 Rescue Junkie had a solid foster base, but most of them already have a foster animal so new foster families are always welcome. If you wish to volunteer your time to our organization, fill out the volunteer application and start helping us make a difference. Take a look at the foster guidelines, and if your household qualifies fill out the foster application and join our organization.